Description: This new 270,000 sf academic building includes an auditorium, classrooms, faculty offices, and student services surrounding the Winter Quad, a glass-enclosed academic town square that facilitates the gathering of the entire school community. 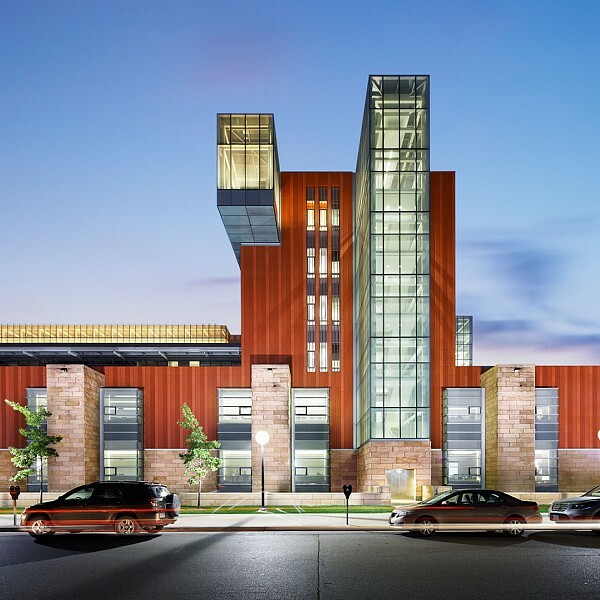 This building uses a high-efficiency central plant for heating and cooling. Classrooms are conditioned with an underfloor air distribution system, and passive heating and cooling concepts condition the Winter Quad.